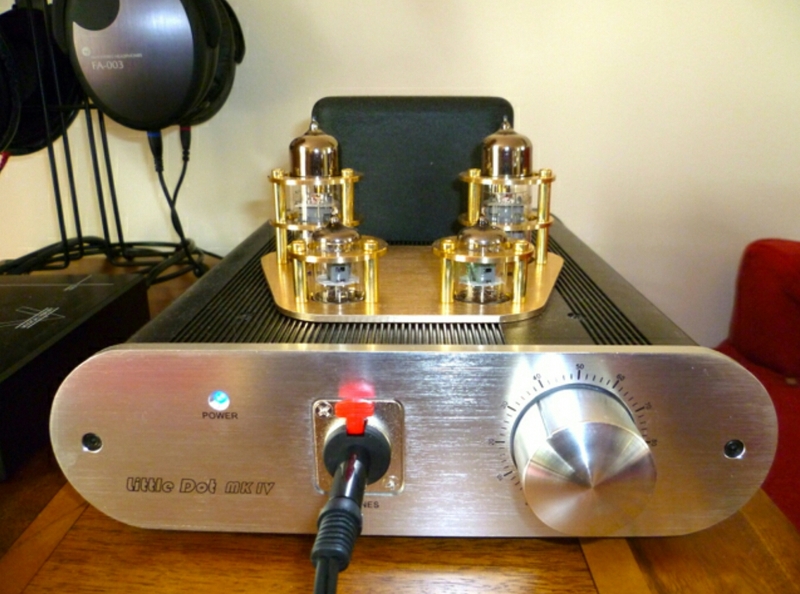 Below is the review of the Little Dot Tube amp that I wrote in November 2011. As I mentioned it in another article I thought it would be good to include it today. Pros – Luxury quality looking headphone amp, with the oomph and sound experience to match. Plus look at those valves! Cons – You might need to replace the valves. Once a year you need to pull the valves out and clean the valve pins. Easy to do though. I don’t know if many of you have recently visited HMV or your equivalent store, but the other day I was in HMV, and 20% of the sales area was devoted to headphones, along with 3 large tables where you could listen to any of the headphones with a variety of music genres, or plug in your own iPod or iPhone. In fact even more startling was the number of headphones costing around £300. 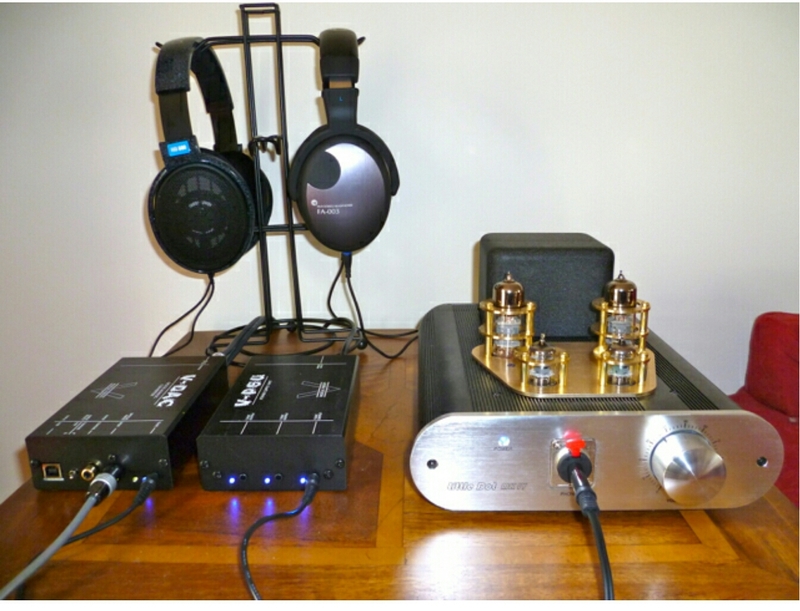 With the rise in quality headphones has risen the number of affordable headphone amplifiers. Even Amazon has a Headphone store now. In fact you can spend thousands on headphones. So with the growing number of portable devices, comes a market to cater for people who need to listen in private without disturbing others around them. Today, I am reviewing the Liitle Dot MKIV Headphone Tube Amp. This is their flagship single-ended headphone amplifier/pre-amplifier in the Little Dot MK-series. Boasting a SEPP (OTL) in Class-A circuit design with high quality components such as an ALPS-27 potentiometer, Nichicon, Rubycon, and German WIMA/ERO capacitors. Regardless of whether your headphones are 32 ohms or 600 ohms, the Little Dot MK IV can drive them easily with effortless dynamics (45Vp-p!) , subterranean bass, cavernous soundstage, and precise 3-D imaging. The Little Dot MK IV also adds in options such as two gain switches to delivery maximum compatibility with all your headphones, regardless of impedance or sensitivity. Also available for the very first time in a Little Dot amplifier, and an internal jumper to allow use with a wider range of driver tube-rolling, including the EF92, CV131, WE403A/B, GE5654, M8100, CV4010, EF95, 6JI as well as all equivalents, derivatives, and direct replacements to these vacuum tubes. Some might say, what is this product and how do I use it. Simply, you can either connect your PC/laptop or iPod to the headphone amp, and then connect your headphones into the amplifier. For the best results, connect your PC digitally into a Digital to Analogue Converter, then connect the DAC into the Little Dot. If you didn’t want to use headphones, you can use the Little Dot as a pre-amp, connecting the amp to a power amp and then a set of speakers. The other connection method is using an iPod or similar. Connect using the dock connector cable in to the rear of the amp. You can buy special cables for this. Below is a picture of my setup. I use a Musical Fidelity V-DAC (digital to analogue converter) with its dedicated power supply V-PSU. The V-DAC then connects in to the Little Dot. My MacBook is sending the sound digitally using the optical out to the V-DAC. You can also use USB out on most PC’s. So what is special about this headphone amp. Well if you haven’t noticed by now, it’s the valves or tubes (4) protruding from the casing. These provide the power and sound. During use these glow lightly orange, more visible in the dark and obviously get do become hot. See close up photo below. The slight glow of each tube is just about visible. These valves are about 60 years old by the way! The other special feature of this amp is the sound. 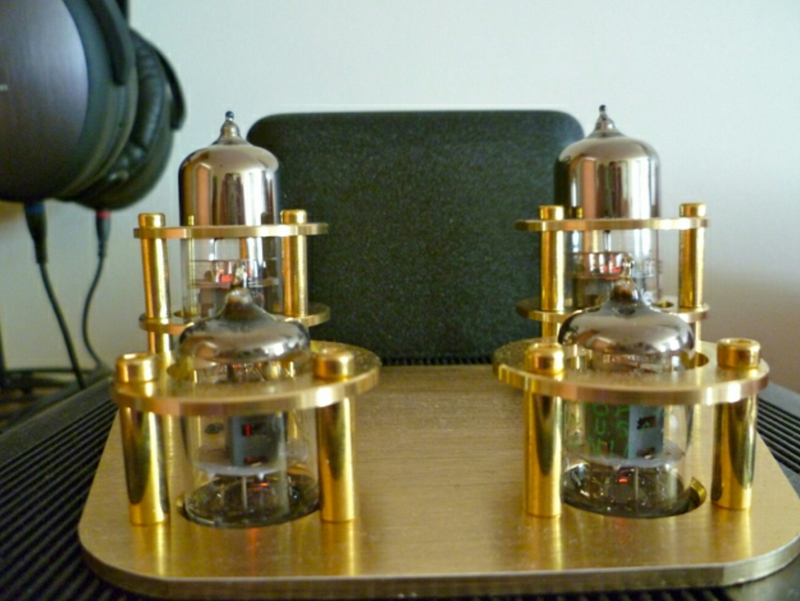 Valves provide a warm and enjoyable listening experience. Also, a Class A amp has tons of oomph to drive any headphone. To help tailor the experience, there are gain switches under the device, offering a multitude of options. As this is Little Dot’s flagship amp, it is designed to be paired with a certain breed of headphone. It works really well with all types, but if you are only going to have a low cost headphone, you could buy a Little Dot MKI Hybrid amp which will work for you. Let me explain further. When you look at the technical specs of a headphone, there is the ohms figure, typical 32 ohms is ideal for portable devices as they can be driven with ease. Then there is the Sound Pressure level db. The higher this is the better for portable devices. So a 32 ohm, 110 db headphone won’t need a strong amp to drive it. The Liitle Dot MKI Hybrid is a perfect option for these easy to drive headphone as it designed to provide the most energy at this lower level, but as soon as the ohms increase it doesn’t have enough voltage. The LD MKIV amp is designed to provide high voltage as the ohms increase. Once the ohms are over 300 ohms, this is the point it provides its best sound possible. As an example, Sennheisers’ flagship headphones are 300 ohms, HD600, HD650 & HD800. Beyerdynamic offer a number of headphones at 600ohms. A portable device like an iPod would struggle to get the best out of these high ohm headphone. Sounds complicated but it really is simple. So, how does the Little Dot MKIV sound. Audio heaven is a good description. I have 2 headphones, the Sennheiser HD600 and Fischer Audio Master Series FA-003. Both sound the best they ever have. The HD600 are 300 ohms and FA-003 only 64 ohms. With the HD600 it doesn’t matter what your genre of music is. Everything is stunning. Sound stage is wide, instruments precisely placed, vocals so real you believe the artist is next to you, power and attack arrives instantly due to the Little Dot’s power and voltage reserves. Plus there is no sharpness or brittle effects in the music. I was listening to Melody Gardot, and it was giving my shivers it was so real. Queen was awesome, the realism of the vocals, and instruments. I wish you all could hear what I can hear. Classical is spellbinding at times. You can listen for hours. In fact I do! A beautiful piece of equipment to behold, and provides audio pleasure only to dreams are made of.